Are you under pressure from your end customer, or parent company, to return compliance questionnaires sent out months ago? Do you feel like your supply base has turned against you, and previous harmonious relationships are starting to feel a little strained? If so it’s worth taking some time out to review the challenges the Conflict Mineral Legislation presents to all those involved. In August 2012 the US Securities and Exchange Commission adopted a rule mandated by the Dodd-Frank Wall Street Reform and Consumer Protection Act. The rule (which seeks to address links between commercial mineral sales and funds supporting conflict) requires, by law, that publicly traded US companies openly disclose the use of specific minerals originating from the Democratic Republic of Congo (DRC). The requirement is for the submission of an annual report, the first of which is due in May 2014. 1. Firstly, it’s important to say that the motivation behind the legislation remains sound. With approximately 5.4 million people reported to have died in the eastern Congo from war-related causes since 1996, something had to be done. Some however argue the legislation can also been viewed as a challenge to other countries who have significant mining interests in the area. Whatever your perspective, it’s still a rule that needs to be complied with regardless of the challenges it creates for many global businesses. 2. Apart from the DRC, there are not a lot of natural sources elsewhere for Coltan – the ore from which the metal tantalum is derived. 3. And, if you are thinking there’s no tantalum in my products, think again. If your product contains a Printed Circuit Board Assembly (PCBA) it is highly likely it has a tantalum capacitor on it somewhere. If you don’t have tantalum, it’s likely you will have one of the other minerals such as gold, tin or tungsten. 4. Unlike compliance with the EU’s RoHS and REACH Directives, you cannot play the percentage game here and say that less than 0.1% of your product contains conflict minerals so it’s OK. In the case of this legislation, you have to report everything. 5. Finally there’sthe complexities of ensuring funds from sourcing raw materials are not being used for nefarious ends, whilst balancing the pressing need for jobs for those innocent workers employed by the mines in question. There’s no doubt that this legislation shines a light on some of the more challenging aspects pertaining to global manufacturing today, which businesses are having to try and respond to. So how do you go about testing your product to see if these minerals have come from “conflict mines”? Put simply, you can’t yet. As a result,the whole legislation relies on companies throughout the supply chain reporting and demonstrating due diligence in compiling their reports. This legislation has spawned a mini industry of consultants and web-based apps. Many US multinationals have resorted to bombarding their international supplier base with complex questionnaires and a requirement to join, sometime subscription-based, online services to upload data. In many cases, relatively small European companies with limited resource are receiving anonymous emails sent to ‘enquiries@’ addresses asking complex questions about what smelters they use. This is leading to some discord within the supply chain. Over-stressed suppliers are receiving strange and demanding emails from people they have never heard of, often with implied threats to take away business if the supplier does not conform. Often the local Procurement Teams have not been briefed on the initiative by their US colleagues, only finding out about the emails when their supplier complains to them. And the common practice of not sending the emails to a named recipient means a lot of them are going into spam folders and are ignored – leading to even more aggressive reminders! Whilst these minerals are widely used, it is in relatively small concentrations, and sourced through many supply chain layers, over several continents. Many electronic component manufacturers are therefore resorting to generic statements confirming their commitment to meet the legislative requirements, but the exact details of how,often remain unclear. 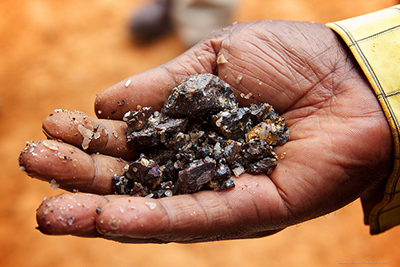 In simple terms, the due diligence approach adopted by most is to write to your suppliers and tell them they are not to use conflict minerals, and that they must source all products via approved smelters. Both you and your supply chain are limited in doing much more until all Original Manufacturers provide clear statements that their products are ‘conflict free’. But, of course, it’s worth remembering the legislation only requires companies to disclose what conflict minerals they use – it does not actually ban them from using them.The initial reports due in May 2014 could make for interesting reading!